John was a member of Incorporated Society Of London Fashion Designers , this Irish designers style was often described as reflecting Parisian chic. Many film and stage stars of the time (50s and 60s) were dressed by him,and so were Duches of Kent and Princess Alexandra. John was born in London in 1914,even though he was not born in Ireland he strongly identified as Irish . In 1932 Cavanagh became a secretary for designer Edward Molyneux,first in London and then in Paris. His employer was the one that insisted that Cavanagh learns how to draw before he hiered him. Cvanagh was first supervisor of Molynex London branch and aftedrwards became designers personal assistant - through that position he learned how haute couture buisness worked. 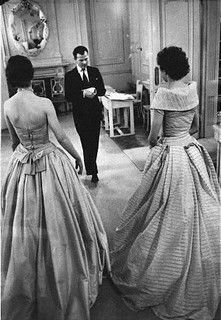 In 1946 after he was demobbed from army,Cavanagh became design assistant at Pierre Balmain ,for whom he worked untill 1952. 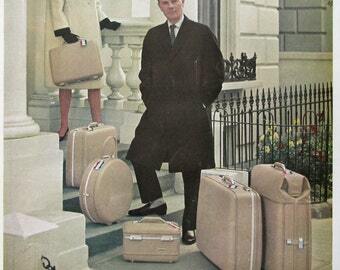 The year he left Balmain he started his own fashion house,named simply '' John Cavanagh'' . John Cavanagh was known for his exeptional tailoring,usage of color ,high standard and quality of designs. He maintaine purity of line and form in all his designs . As fashion became more youth-focused in the 1960s, Cavanagh attempted to redefine his business by moving into ready-to-wear, but this was not a success and he retired in 1972. 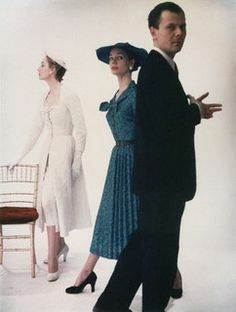 His tradition of creating couture for high-profile clients lived on in the work of Toronto-born designer Donald Campbell, who worked for Cavanagh from the mid 1950s on and set up on his own in 1973, later providing several distinctive outfits for Princess Diana.